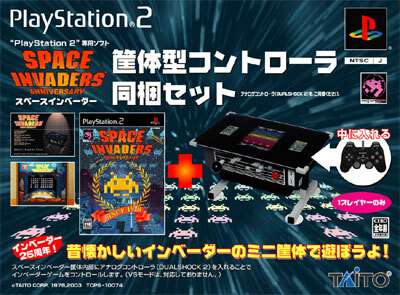 Release to celebrate the 25th anniversary of the Space Invader legend. 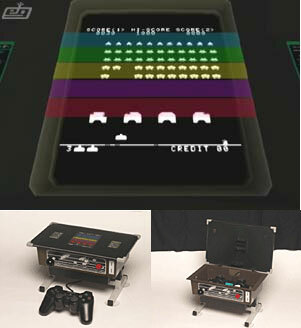 Includes plenty of versions including a 3D remake along with a table top style arcade controller which you place the Dualshock inside. 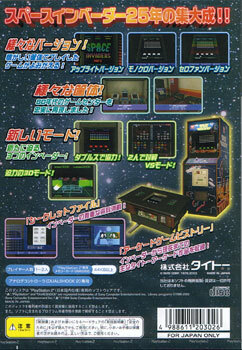 Other versions include a two player competitive version where you shoot at each other through the invaders and a two player co-operative version where you share three lives. Brand new. Sun fade and creasing to the box. Dealer guarantee stamp on back of box.